Everyone struggles from time to time, whether it’s due to work stress, relationship problems, family issues, or poor mental health. If you are currently struggling, it may be time for you to seek out a local therapist. You are having inexplicable physical symptoms. Many people do not realize that many mental health conditions come with physical symptoms. If you have seen a medical professional and all your tests are coming back negative, your doctor may suggest therapy for treatment. This is particularly true if you’re experiencing intestinal distress, as mental health and the digestive system are connected. You feel stuck in a pattern of behavior. You know your actions aren’t getting where you want to go, but you don’t know how to break the vicious cycle. If you are feeling trapped and unable to behave in a different, healthier way, talking to a therapist may help you. Whether it is staying in a toxic relationship, feeling trapped at an unsatisfying job, or using unhealthy coping mechanisms, it is possible to break negative patterns of behavior to live a healthier and happier life, and a therapist may help. You feel out of control of your emotions. Being more emotional than other people in your life doesn’t mean that you need therapy. However, these people can generally regulate their emotions to respond appropriately to situations. If you feel that you have no control over how you feel and it is causing problems, therapy may help you. For example, you might feel an overwhelming surge of rage over small inconveniences that has a negative impact on your relationships. If you’re feeling out of control emotionally, you may benefit in particular from cognitive behavioral therapy, which is designed to help with emotional regulation. You’re unhappy with your life. Things can’t always be perfect, and everyone experiences unhappiness with their circumstances from time to time. However, if you have a running dialogue in your head thinking about how you hate your life, or maybe even thoughts about how you would rather be dead, this means it is time to talk to a professional. A therapist can help you challenge those negative thought patterns and determine changes you can make in your life that will help you be happier. You cope with alcohol or other drugs. Drinking to cope with stress is common in our culture, but that doesn’t mean it’s healthy. If you are regularly using alcohol or other drugs to deal with your emotions, it’s a red flag that a deeper issue is lurking beneath the surface. If there is any part of your life that causes distress that you feel hopeless about, there is no shame in reaching out for help. Professional therapists have helped millions of people work through their issues, and the right therapist may be able to help you as well. New Transitions Counseling Center offers cognitive behavioral therapy in Palatine, IL. We have a staff of dependable and affordable therapists who can help you with a variety of issues, from depression and anxiety to autism spectrum disorder to grief. If you are interested in learning whether we would be a good match, contact us for a free phone consultation. Finding a therapist can be daunting, but when you are experiencing mental health problems or struggling in some other way personally, the right therapist can make all of the difference in the world. If you have never sought therapy before, you might feel overwhelmed. 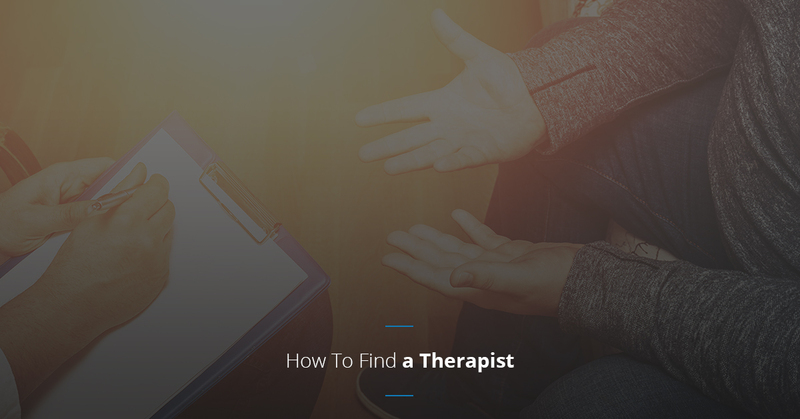 Here is a simple guide to finding a local therapist who can help you. Start by thinking about what specialties you would like your therapist to have and whether or not there is a gender you would prefer talking to about personal issues. Also consider logistical concerns, such as where their office is located. You might like a therapist’s personality, but if you have to travel 45 minutes to and from their office, it will be a lot harder to stick with a regular therapeutic schedule. Pick a therapist who you can connect with and who will be convenient for you. There are many different types of mental health professionals from whom you can receive therapy. Psychiatrist: Psychiatrists are doctors who specialize in psychiatric illnesses. They attended medical school and are licensed to prescribe medication. Psychiatrists are also trained in psychotherapy and psychological testing. Psychologist: Psychologists are professionals with doctorates in psychology (Ph.D. or Psy.D.). While psychologists cannot prescribe medication, they are trained in psychotherapy and psychological testing. Social Worker: Social workers provide social services, most commonly in healthcare settings, though there are a variety of environments in which they work. Social workers specialize in helping with interpersonal problems, providing empathy and counseling to help individuals thrive mentally and emotionally. Licensed Professional Counselor (LPC): LPCs have a minimum of a master’s degree in counseling and 3,000 hours of post-grad experience in the field. They are licensed or certified to diagnose and treat mental health disorders. Now that you have an understanding of the different types of therapists and have determined which type is right for you, it’s time to find a list of professionals who meet your needs. Go through your insurance. If you plan to use your health insurance to cover part or all of the cost of therapy, it’s best to start with a list of providers who are covered under your plan. You may be able to find a comprehensive list on your insurance company’s website, or you can contact a representative to ask for it. Do a Psychology Today search. Psychology Today has a helpful tool on their website that is essentially Facebook for counselors. Local therapists in your area have profiles which you can read through, and you can even filter your search based on what you’re looking for specifically. Keep in mind that it usually takes some time to develop a healing therapeutic relationship. 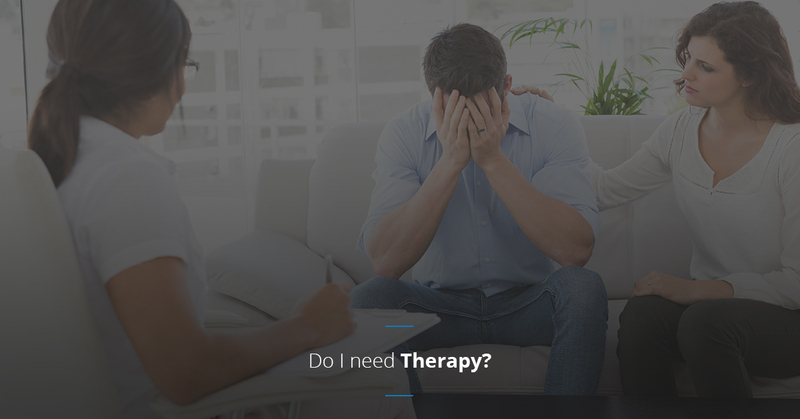 It may take a few sessions before you feel comfortable opening up to your therapist. That being said, if you don’t feel you are the right fit, there is nothing wrong with moving on and finding a professional who better suits your needs. New Transitions Counseling Center provides compassionate and meaningful therapy to the residents of Palatine, IL. We specialize in cognitive behavioral therapy for individuals, couples, families, and groups. We pride ourselves on being dependable and affordable therapists. Contact us for a free phone consultation to determine whether one of our therapists is right for you.